I decided to create this post, where we are going to see latest jeans styles for women. Everyone needs this functional garment. Nowadays, jeans come in so many looks that you can simply get lost in choosing the right ones. 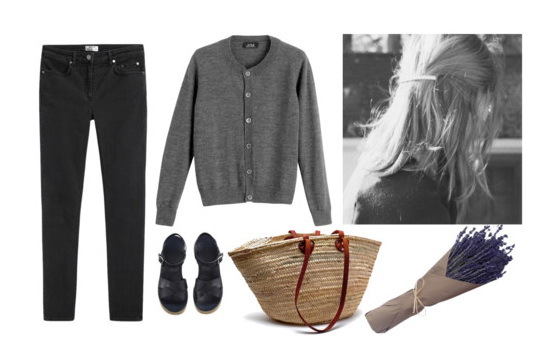 The following Polyvore sets are ideal for creating a perfect look for your next week wear. 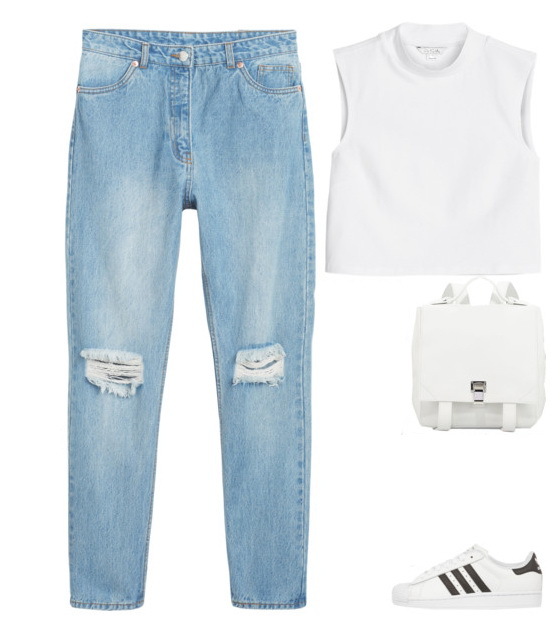 I gathered my favorite combos with all my favorite jeans. You are about to see classic regular styles, skinnies, boyfriends, ripped, washed, high-rise, mid-rise and other styles you can try this year. The first set comes with patched and ripped slim jeans in light blue color. 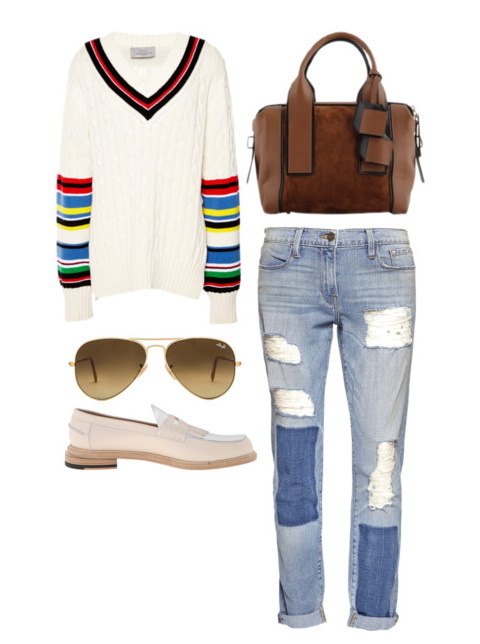 They are styled with blush loafers, aviator sunglasses and white knitted V-neck pullover that features multistripes on its sleeves. 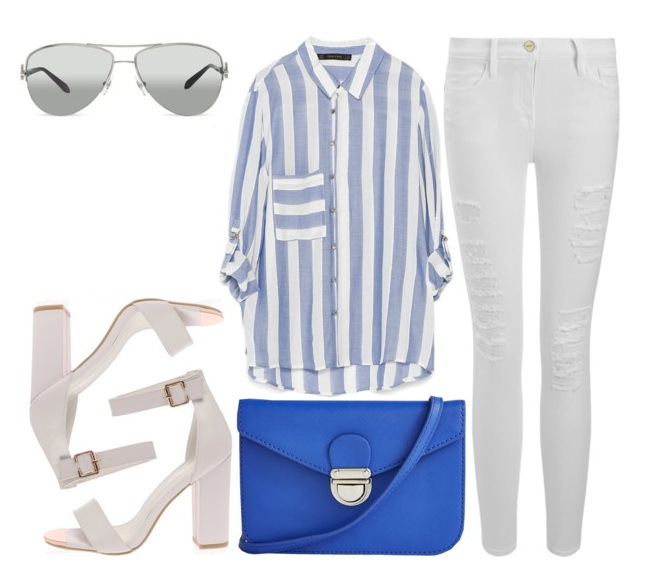 This shopping and style guide will help you create a stunning outfit that will make you look original and individual. There won't be any problem in finding beautiful denim bottoms that will fully complement your body figure. When you finally find a pair of jeans that you truly love, believe me, it's like finding your soul mate. I have many friends who have ten or even more jeans in their closets. Why do we love these bottoms? They are endlessly practical, no need ironing and don't show the dirt (if they are black or dark blue). Anyway, it's time to show you all my favorites. Read on and please, let me know which of the following sets is your favorite.